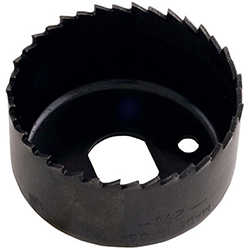 For cutting woods, plastics and composite materials up to 3/4″ thick. Teeth are precision sharpened to produce smooth cuts. Constructed of hardened and tempered alloy steel for longer life.